Ashton Court is a mansion house and estate formed in the 1600s and is one of the oldest buildings in Bristol city. 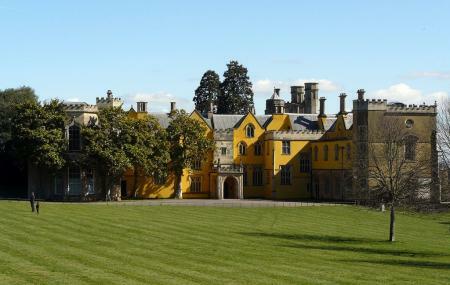 The Ashton court has been a manor home and was developed by owners and today stands as one of Bristol’s best attractions that are enjoyed by people of all ages. The architecture has a mix feel to it as there have been successive remodelling and has now become a very complex piece of Architecture which adds to the charm of the place. Buses from Bower Ashton Campus (NE-bound) can be taken to the place. Trains from Bedminster station can be taken to the location. How popular is Ashton Court? People normally club together Watershed and M Shed, Princes Wharf while planning their visit to Ashton Court. Cheap car parking, amazing view, lot of services and historic places you can find here and enjoying. Really good place for family, young people and tourists. Also it's safe place. Ashton court is one of Britain's hidden gems. It's rolling hills can help you to give your legs a stretch if you're feeling fit. If you aren't much of a walker and prefer a picnic and casual stroll, there is a botanical garden to the side of the manor house that is truly gorgeous. The court yard to the side of the house offers garden seating for the small cafe where you can also get some light meals and drinks. If you're feeling more adventurous, the top half of Ashton court hosts a sports cafe and car park, which is the starting point for its nursery mountain bike trails. As a newbie to mountain biking, I've found the trails here a brilliant place to learn. They have blue and red options in many places for those who are a bit more experienced. The latest renovations include resurfaced areas of the track. The only slight negative of Ashton Court is that it has pay and display car parks.